ServerWare SG13 now comes with Techdos Servers Monitoring Tools. A service provided by a 3rd party company, for you to do your own monitoring at no cost at all for a whole 12 months. A package that cost RM480 pa. 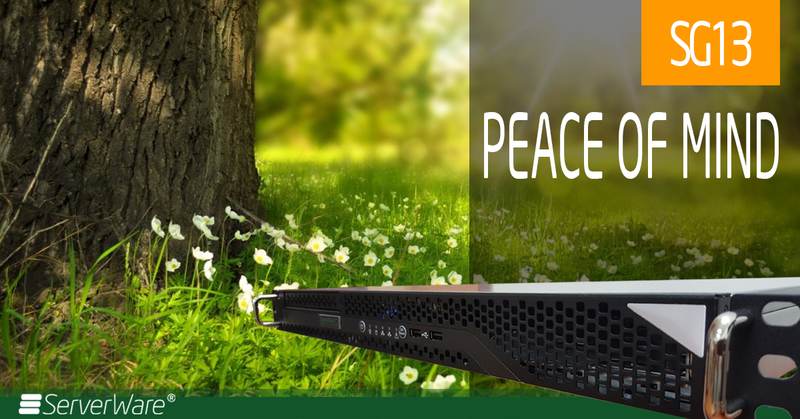 Capture ServerWare® SG13 1U server, the best offer that comes with peace of mind. A true full specification Xeon based system that serves most of your business needs at the most affordable manner. A perfect gift for your very own business. ServerWare® is SuperMicro® Distributor in Malaysia. ServerWare® provides data center class hardware that delivers hyperscale performance, efficiency and advanced engineering. Flexible product configuration, rack integration, performance tuning and engineering consulting services to help customers deploy optimized data center and enterprise solutions for their unique workloads. Giving our customers the same innovative data center hardware technology in use by hyperscale datacenter operators, but in off-the-shelf SKUs with enterprise class services.